TO CLEAN: Use a clean, soft cloth to wipe your shade. If necessary, you may use a white cloth dampened with a mild solution of soapy water to gently wash the shade. Rinse thoroughly with a white cloth dipped in clean water. 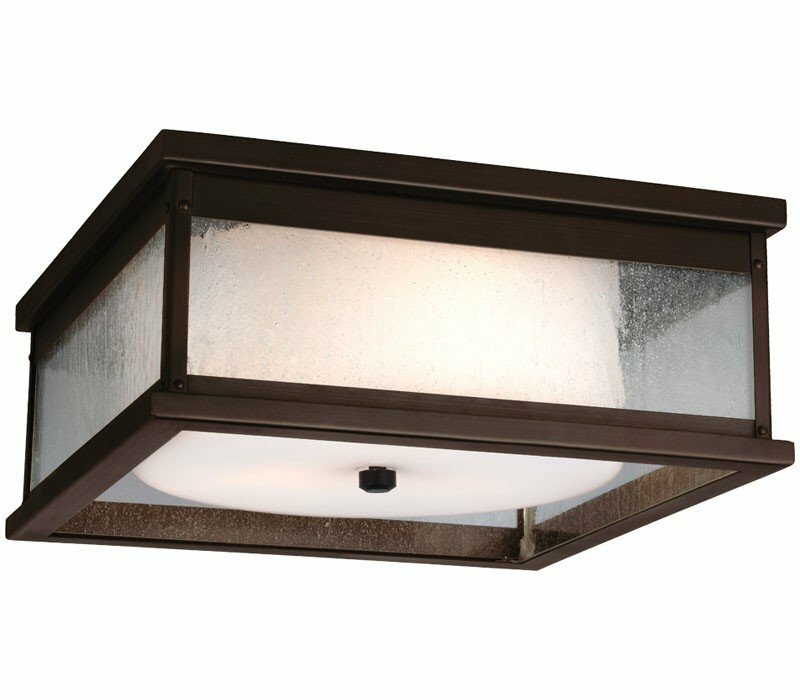 The Feiss Pediment three light outdoor ceiling fixture in dark weathered zinc creates a warm and inviting welcome presentation for your home's exterior. Inspired by distinctive, outdoor lanterns commonly found throughout the streets of London, the crowning detail of the traditional Pediment outdoor lighting collection by Feiss is its classically, curving roof line. The hinged and latched front panel adds a historical reference and also makes relamping easy. 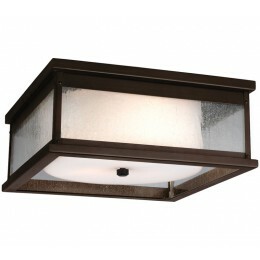 The Clear Seeded glass subtly obscures the lamping and helps create the visual appearance of vintage gas lanterns. Offered in either Dark Weathered Zinc or Dark Aged Copper finishes, the collection includes 12" and 18" 2-light Outdoor Wall Lanterns, 18" and 24" 3-Light Outdoor Wall Lanterns, 2-Light Outdoor Post, 2-Light Outdoor Hanging Lantern and a 2-Light Outdoor Flush mount. 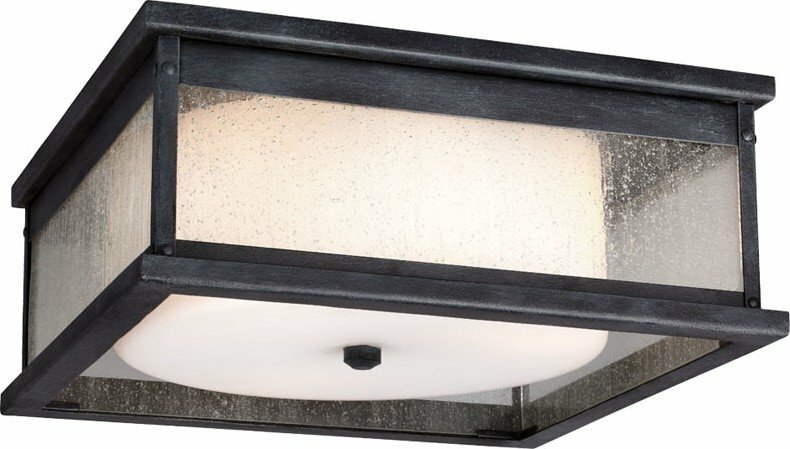 The Murray Feiss OL11113DWZ Pediment collection Outdoor Flush Mount Lighting in Dark Weathered Zinc uses Incandescent light output and brings Antique style. This item is 5.88"H x 13"W. The total wattage is 80 and the voltage is 120 volts. The Murray Feiss OL11113DWZ requires 2 bulbs (not included). Additional Information: Shade-Clear Seeded Glass Panel.